Want to be involved with the event but don’t feel like participating? Register to volunteer! We always need help on the course and at registration/packet pickup. Volunteers receive a race shirt and beverage ticket for the post-race party. 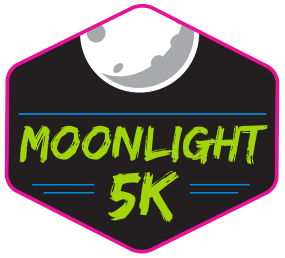 We are pleased to announce that a portion of the proceeds from the 2017 Moonlight 5k will be donated to Special Olympics of Harford County and John Archer School. Special Olympics Maryland – Harford County (SOMD-HA) provides a year-round training and competitive sports program for Harford County children and adults with intellectual disabilities and/or closely related developmental disabilities. The race will start at the Harford County Equestrian Center and travel on paved paths through the property to meet up with the gravel Ma & Pa Trail. Runners do an out-and-back trip on the trail before returning to the Equestrian Center for the finish. The entire route is on firm surfaces suitable for strollers and folks that just don’t want to risk turning an ankle! A Gildan Performance shirt that will quickly become one of your favorites! Mens/unisex sizes from small to 2XL available. Shirts in your requested size are guaranteed to those who register by June 1st, and may not be available to those registering after June 1st. 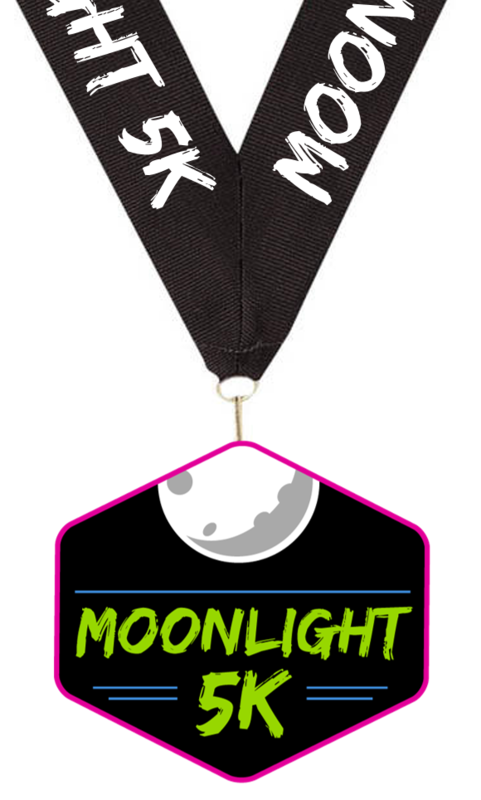 Custom finisher medal that will rival what marathons offer! This is one unique medal that will stand out from the rest. The design will be unveiled shortly! Two glow sticks that can be combined into a necklace, or worn separately as bracelets. Everybody is encouraged to wear your best neon gear! A Free Drink at the Post-Race Party! 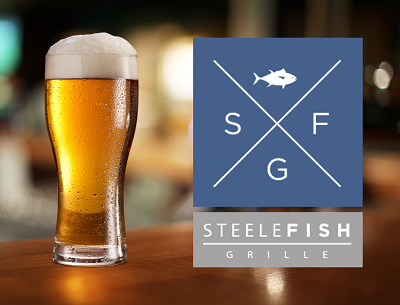 We’re excited to partner again with Steelefish Grille, one of Bel Air’s premier restaurants, to offer one complimentary draft beer (for our runners and walkers 21+) or soft drink to each participant at the post-race party. Located less than a mile from the race site, Steelefish Grille features delicious appetizers and entrees with a focus on fresh seafood. Join us for a drink and celebrate a great race! Plenty of race parking is available in the grass lots at the Equestrian Center. Packets will be available for pickup on Friday, June 9th from 5-8 PM in the main lobby of the Bel Air Athletic Club. Packets will also be available on race day from 6:30-7:45 PM in the first pavilion on your right as you enter the Equestrian Center property. Due to time constraints on Saturday evening, we HIGHLY ENCOURAGE you to pick up your packet Friday evening. 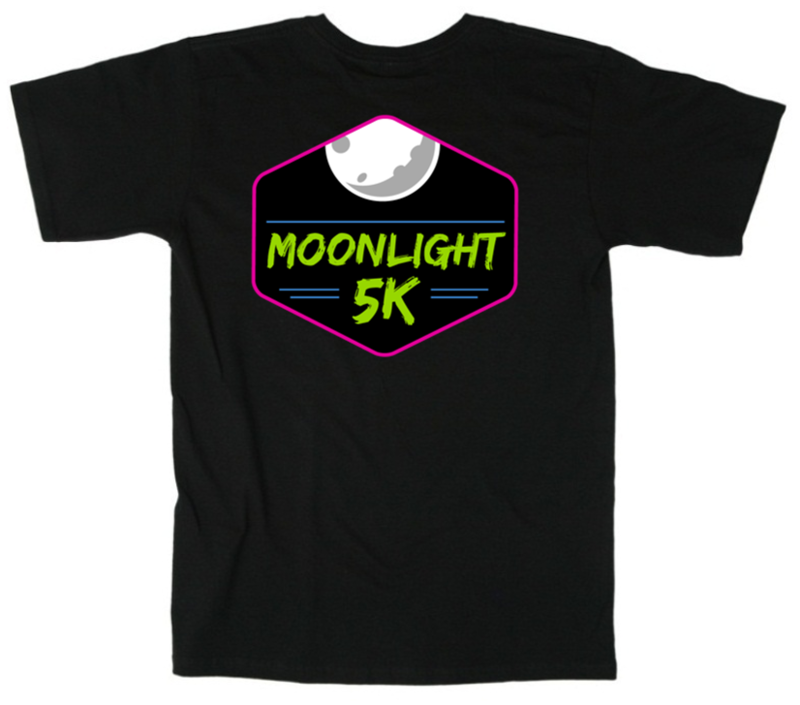 The Moonlight 5k is a rain or shine event, and the race will go on as planned unless thunder and/or lightning is detected at race time, or other extreme weather is present. Standard practice is to wait 30 minutes after lightning or thunder is detected to begin the race. If after waiting 1 hour we still have lightning and/or thunder in the area will will be forced to cancel the race. Unfortunately, race registration fees cannot be refunded. T-shirts and glow sticks would be made available for pickup at another time and location. 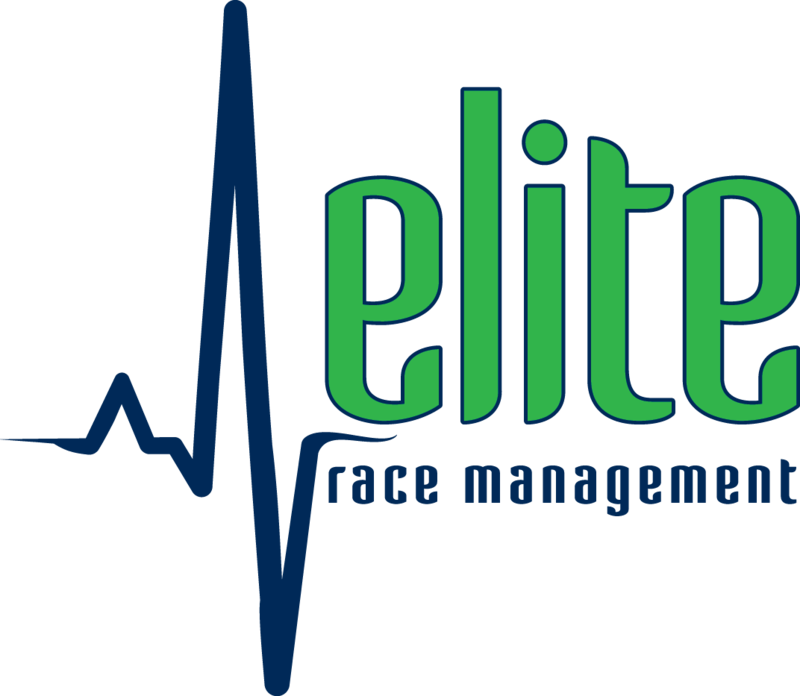 Looking to run another great Elite Race Management event at a great price? Join us for the Holiday Hustle 5k on December 17th at Harford Community College! Moonlight 5k registrants are able to purchase an entry to the 2017 Holiday Hustle 5k (until June 18th) for only $20 – that’s the lowest rate we’ll offer, and it’s only available to Moonlight 5k registrants. Holiday Hustle participants receive an awesome Gildan Performance long-sleeve shirt, finisher medal, mile splits with individual printed results, and hot chocolate at the finish! 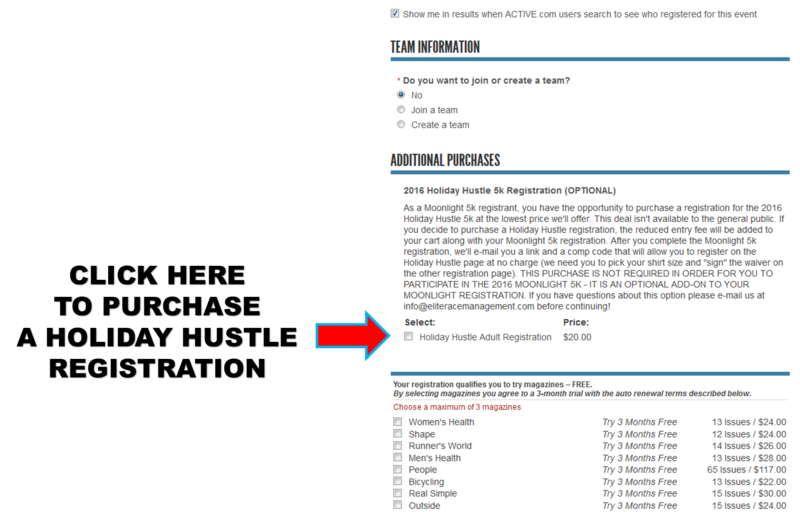 To take advantage of this offer, be sure to select the box next to “Holiday Hustle Adult Registration” in the “Additional Purchases” section of your Moonlight 5k registration (see image below – click to enlarge). After you register, we’ll e-mail you with a discount code and the link to the Holiday Hustle registration page (you’ll need to select your shirt size and sign the waiver). Remember – Kids 10 & under can run the Holiday Hustle 5k for free (no-t-shirt, but they do receive a finisher medal) so do not purchase an entry for a child unless you want them to receive a shirt!